SAN DIEGO, CA – January 2, 2015 – Youngevity International, Inc. (OTCQX: YGYI) (www.YGYI.com), global direct marketer of nutritional and lifestyle enhancement products and also a vertically-integrated producer of gourmet coffees for the commercial, retail and direct sales channels, announced that it has partnered with Energy Professionals of Dayton, OH to launch “The Choice Energy Program” to provide Energy Professionals energy and natural gas services to Youngevity’s network of distributors and customers. The official launch events are scheduled for mid-January in the State of Texas. Deregulation has led to significant new opportunities in the energy supply marketplace. Energy Professionals is an industry leader with a decade of experience, and contracts with 10 of the top 13 energy supply companies in the country. Currently Energy Professionals service over 5 million residential customers and over 50,000 commercial accounts. 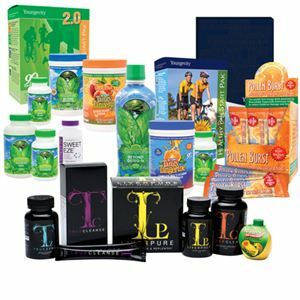 Youngevity currently markets products and services in four distinct categories, which are Health and Wellness, Beauty and Care, Food and Beverage, and Home and Family. The diverse product offering includes healthy weight loss, liquid mineral based nutrition, essential oils, mineral makeup, fashion and jewelry, coffee, healthy chocolate, healthy energy drinks, memory booking, and many others. Expansion into other deregulated states is also anticipated to follow. Energy Professionals also provides green renewable energy options allowing customers and distributors to expand their commitment to the Youngevity “Be the Change” Foundation initiative by offsetting their personal carbon footprint. Youngevity International Inc., (OTCQX: YGYI) (www.YGYI.com) is a fast-growing, innovative, multi-dimensional company that offers a wide range of consumer products and services, primarily through person-to-person selling relationships that comprise a “network of networks.” The Company also is a vertically-integrated producer of the finest coffees for the commercial, retail and direct sales channels. The Company was formed after the merger of Youngevity Essential Life Sciences (www.youngevity.com) and Javalution Coffee Company in the summer of 2011, and changed its name to Youngevity International Inc. from AL International, Inc. in July 2013. This release includes forward-looking statements on our current expectations and projections about future events. In some cases forward-looking statements can be identified by terminology such as “may,” “should,” “potential,” “continue,” “expects,” “anticipates,” “intends,” “plans,” “believes,” “estimates,” and similar expressions. The forward-looking statements contained in this press release include statements regarding the intended continuation of the leverage of buying power within the network, the goals, the expansion of the energy program and the Company’s expected future growth. These statements are based upon current beliefs, expectations and assumptions and are subject to a number of risks and uncertainties, many of which are difficult to predict including our ability to continue to grow our business and the ability of The Choice Energy Program to provide the intended benefits. The information in this release is provided only as of the date of this release, and we undertake no obligation to update any forward-looking statements contained in this release based on new information, future events, or otherwise, except as required by law.